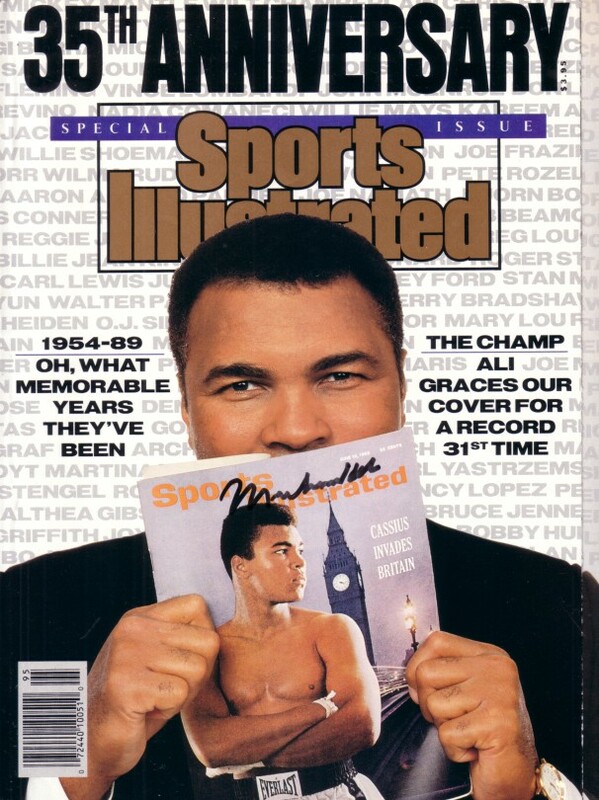 Complete Nov. 15, 1989 35th Anniversary special issue of Sports Illustrated autographed on the cover in black marker by legendary boxer Muhammad Ali. 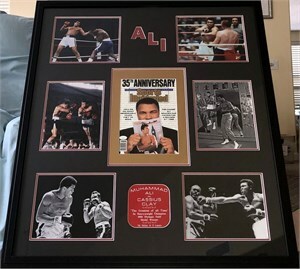 Obtained in person at mid 1990s paid signing, with certificate of authenticity from AutographsForSale.com. Magazine is in pristine condition with only very minor flaws and wear.